There has been a great deal revealed about the Roswell case in the last few months. New witnesses, well, second-hand witnesses have been quoted extensively. Men and women who say that family members told them about the UFO crash, but who had not seen anything themselves have been located. With a second-hand witness, it is always possible that he or she miss heard or misunderstood what was being said. But sometimes we get a hint of a first-hand witness and have those statements corroborated by a second-hand witness. Sure, this is confusing, but let’s just take a moment and examine one such case. We know that 1st Lt. Harry N. Cordes served with the 509th Bomb Group in Roswell in 1947, specifically with the 393rd Bomb Squadron. And yes, his picture is in the Yearbook that Walter Haut prepared.. According to his official Air Force biography, in 1946 General Cordes [as a lieutenant] participated in the first atomic bomb tests at Bikini Atoll. From 1946 to 1949 he was assigned to the 509th Bombardment Group, Roswell Air Force Base, N.M., as a radar observer on a B-29 crew. His crew won the first annual SAC bombing competition in 1948. He entered pilot training in August 1949 and when he graduated in 1950 returned to the 509th Bomb Group as a pilot and was later aircraft commander of a B-50. 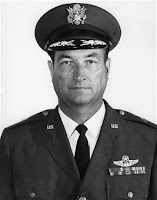 He served in a variety of assignments after he left Roswell, and eventually, as a brigadier general (seen below) assumed duties as deputy chief of staff, intelligence, at the Headquarters of the Strategic Air Command (SAC), Offutt Air Force Base in April 1970. He retired on July 1, 1973 and he died on May 10, 2004. Cordes has been reported as saying that when he was assigned to the CIA one of the first things he had done was look for the Roswell files but they were missing. It is an interesting statement, but by itself, means little. Tony Brangalia decided to follow up on this. He located Cordes widow who told him that she was surprised that Cordes would say anything like that to anyone outside the family. But then she went on and confirmed the fact saying that he told her that he had unsuccessfully tried to find the Roswell file back in the 1950s. According to the notes that Brangalia shared with me, as a lieutenant, Cordes admired Jesse Marcel, Sr. (who was an intelligence officer and Cordes would find himself assigned to intelligence later in his career) and said that there was no reason for him to lie about anything. She said that Glenn Dennis’ nurse had been committed to a home before she died (Hey, I’m just reporting what was said, but here is a little corroboration for the Dennis story). She said that Blanchard was "a believer and anyone in the military who wanted to stay in didn’t talk about it." Because she had grown up on a farm near Roswell and had worked in the First National Bank there, she knew many of the players in this story, knew some things about the case outside the military. She said that she had lived two doors down from the Wilcox family and said that they "were threatened and were afraid for their own reasons." Working in the bank she heard things from the ranchers and wrote, "At the bank I heard the ranchers discussing Mack Brazel and they thought his new red pickup was his payoff." But her story wasn’t just about what she had heard in the bank. She wrote, "My story begins the night of July 3rd with my family in Ruidoso where we always celebrated the 4th and I had to close the bank and was tasked with icing the soda and beer and driving to meet them. As I made the usual rounds for ice I was told that the Air Base had bought all the ice so I went to the train station looking for dry ice but was told the AFB had wiped them out..."
She added, "Then when our family returned that week to go back to our ranch to attend to our stock we were barred from the Pine Lodge hiway by camaflogued [sic] airmen with machine guns that some fear entered the picture. Many stories at the bank from early rising ranchers about long trucks covered in canvas going to the base before dawn!!" She said, "My husband flew 25 different planes including the U-2 and Air-borne [sic] Looking Glass [which was the airborne command post during the Cold War] and said there was nothing hidden at Area-51 except planes [sorry Bob Lazar fans]. He also wondered his whole life why there was a cover-up and yes, he did tell me that he perused the files as a CIA agent but found everything empty." I will note here that there is nothing in Cordes official biography that suggests he was detailed to the CIA, but, by the same token, there are gaps in it. However, after his completion of Command and Staff School he was assigned as an intelligence staff officer which could mean he worked with the CIA and would have had some access to their records. There is one other point to be made here. Kent Jeffrey, as he was conducting his Roswell research, contacted Cordes. Apparently Cordes said nothing to him about his involvement or knowledge but referred Kent to George Weinbrenner. Jeffrey wrote about this saying, "After my conversations with Klinikowsky and Vatunac, Harry Cordes, a former 509th pilot and a retired brigadier general suggested I call a former acquaintance of his, George Weinbrenner, who had also been at the FTD [Foreign Technology Division, where Klinikowsky and Vatunac had also served]... Weinbrenner told me pretty much what I had already learned from Klinikowsky and Vatunac, but it was interesting to talk to him, nonetheless. With respect to the crashed UFO subject, he also found it humorous and stated that if something like that had happened, I would have know about it..."
But now we have evidence, from both Cordes and his widow that Cordes knew about it. So the question is, why didn’t Weinbrenner know? Could it be that Weinbrenner was keeping the secret? And why would Cordes tell Jeffrey to talk to Weinbrenner? In the end, we have an intriguing story that begins with a quote from a former Air Force brigadier general and then we have additional information from his wife. First-hand quotes from the general, first-hand quotes and observations from the wife, and then her memories of things her husband had shared with her. Maybe not the smoking gun, but certainly interesting testimony to add to the stack. Just the other day, Presidential hopeful Dennis Kucinich (seen here) was outed by Shirley MacLaine. She said that while visiting her, they had seen a UFO... meaning, clearly, an unidentified flying object. This whole tale is not important because we have many known people who claim to have seen a UFO. Jimmy Carter made a similar claim, and recently explained that he had seen an object in the air that was unidentified and that doesn’t translate into an alien spacecraft or a belief in flying saucers. It means that Carter, along with MacLaine and Kucinich saw something they could not explain. Now, just recently I have been told that some of those who claimed to have been involved in the Roswell crashed saucer recovery didn’t behave the way debunkers believe they should. Melvin Brown, for example, when he learned that William Moore and Charles Berlitz had written a book about Roswell should have contacted them with his insider information. Or, better yet, he should have gone to the newspaper to tell them what he had seen. Instead, Brown merely told his family, wife and daughters, about it. The debunkers seem to believe that this is prima facie evidence that Brown was exaggerating his role in Roswell. Brown had been assigned as a cook and it seems that he shouldn’t have been in a position to see anything. And, if he did, why he’d want to shout it to the world when he learned that Moore and Berlitz had written their book. But doesn’t this latest about Dennis Kucinich prove just the opposite. First, Kucinich didn’t rush to the newspapers to relate his story. And second, the headline at FoxNews.Com said, "Dennis Kucinich’s UFO Comments Prove He’s Nuts." John Gibson, who, by the way, I met at the 50th Anniversary of the Roswell Crash, on the highway just outside of town, near the turnoff to Hub Corn’s ranch where it was said that something had fallen, wrote, "This is the guy who feels free to say Bush is crazy one day and admit something the next day that many, if not most, people think proves a person is crazy." He continued in this vein, saying, "If you’ve seen UFOs you probably shouldn’t go around calling other people nuts. If you admit to seeing a UFO, martians [sic], space creatures, big foot [sic] and all the rest, you are by definition on the defensive against a charge of craziness." He goes on and said, "And the rest of you who have seen UFOs, please don’t send angry e-mails. It’s not going to make any difference – I’ll still think y’all are crazy." I’m not going to talk about the attitude here. Gibson knows that there are no UFOs, meaning spaceships, and he’s not interested in evidence to the contrary. He’ll stick with the discredited Mogul explanation for Roswell because that’s easier to believe than the military officers who retrieved the spaceship debris in 1947. I’ve run into this attitude before. I was scheduled for an interview at the Chicago Tribune (you remember them... Dewey Defeats Truman was their banner headline in 1948). They sent an intern (not that I have anything against interns) but she told me that the editors didn’t want to do anything because they knew there was nothing to UFOs. When I said we had some very powerful evidence, she said that they didn’t care. They knew the truth. Which is why every time you see a story about the end of the dinosaurs, you’ll see the media talking about the huge meteoric impact that wiped them out though there isn’t scientific consensus on that point. Or why you hear, repeatedly that we can’t win in Iraq when these same media types really don’t know it and have no basis for saying it, other than they probably believe it being the experts in military tactics they all are. The point here is that we have moved into the 21st Century where we communicate with friends around the world on the Internet, where libraries are becoming obsolete because we can find virtually anything we need on the Internet using our home computers, where newspapers are dying, we have high definition TV and hundreds of channels, where people are actually booking passage for space flight (and where some wealthy people have already done it) and dozens of other marvels that people 50 years ago never thought possible and where we have to put up with the opinions of pundits on TV who don’t know what they’re talking about but can say anything they please because they have a forum. So why should someone come forward with his or her story of UFOs when we all know, as it has been proven so many times recently (and I just picked on John Gibson because he had been to Roswell and his was the first bit of nastiness I found) that to come forward with a UFO report is to tell the world you’re crazy? It is no wonder that people like Melvin Brown, among many others, said nothing to the news media about this. They just didn’t want to be called crazy, belittled and insulted by those who know more than the rest of us. And maybe some of them just want to be left alone because to admit something like this opens the door for the true loons out there. Bill Brazel told me that he would periodically get late night telephone calls from drunks in bars wondering if his tale of finding bits of debris was true. Others have been subjected to the "truly" religious who felt an obligation to explain the UFOs as the work of the devil and scream at them about it. We supposedly live in an enlightened age, but how enlightened is it when someone, because he or she has a televised forum can call someone else crazy for reporting an unidentified object in the night sky? Maybe it is time that we limit the pundits and their ilk to staying inside the bounds where they do have some sort of expertise and realize that they simply don’t have all the answers though they seem to believe they do. Of course, if we limited them to that, then the news channels would have about twenty-three hours a day to fill with real news. And maybe it’s time to realize that not everyone reacts the same way to things and what I might do in a specific circumstance is not what you would do. Maybe I see the flaws in the Mogul explanation for Roswell that you believe to be insignificant. And maybe you are telling the truth as best you can and haven’t decided to make it up so that you too can get your fifteen minutes of fame. But really, it’s about understanding we don’t have all the answers and that calling Kucinich crazy and then using that brush to tar everyone else who has had some kind of an experience that we find inexplicable is, well, crazy. Back in the mid-1990s, airline pilot Kent Jeffrey (in th red shirt with Tom Carey center, and Colonel Jeffrey on right) developed an interest in the Roswell case. He believed, at that time, that something alien had fallen there and that the cover up of it should be broken. He believed that we all had the right to know what happened an d he was willing to put up some of his own money and his own time in an attempt to learn the truth. He began the Roswell Initiative which was a worldwide petition to the US government to release all its Roswell information and all its UFO files. He put it online and he gave copies to friends in other countries to demonstrate the worldwide interest in learning the truth. He met with the witnesses and offered them the services of a legal team if they got into trouble for telling what they knew. He traveled to Roswell to meet them. About the time that we arrived at the 50th anniversary of the crash, in July 1997, Kent had changed his mind. He believed that the Roswell crash, if there was anything at all, was caused by something mundane. He no longer thought of it as extraterrestrial and he appeared on several radio and television shows explaining why he had changed his mind. I debated him in a couple of those forums and responded, at length, to his article about what he thought of as the "real" truth that appeared in the MUFON UFO Journal. He did complete his Initiative and delivered some twenty or thirty thousand petitions to Washington, but included a letter that watered down the whole thing. It sort of undermined the power of the petitions by saying that he now believed Roswell was explained, but there were still UFO truths to be learned. I won’t go into all of that here. 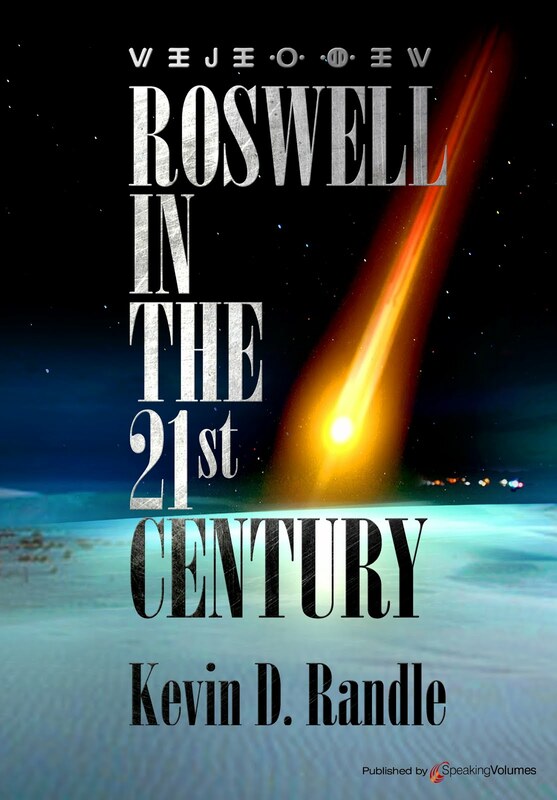 In wrote about it in the Roswell Encyclopedia, including Kent’s article. He granted permission to use it and though I edited it slightly because of space limitations, I didn’t change it. For those who wish to read this, they can do so in that book. I will note, however, that one of Kent’s reasons for changing his mind was because he had attended some of the 509th Bomb Group reunions, talking with officers who served in Roswell in 1947 and who said they had heard nothing about the UFO crash. They said that had it happened, they would have known. I don’t believe that is right, given the nature of security regulations and how these things work. I believe that if the crash was highly classified, many of these officers might have heard rumors, but they wouldn’t have been involved in the retrieval and now, fifty and sixty years later can provide us with nothing more than their opinion that nothing happened. Kent thought this persuasive. I do not. It was Frank Kaufmann who might have killed it all for Kent, though I don’t know this for certain. I know that Kent, and his father, a World War II triple ace, meaning he shot down, at least, fifteen enemy aircraft, met with Frank on a couple of occasions in Roswell. Frank told them the same story that he had told me and others. 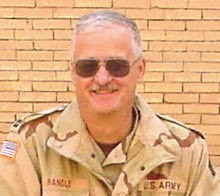 He talked of his hobnobbing with generals, and mentioned General Robert Thomas who had sneaked into Roswell in the guise of a warrant officer... or, at least that was what Frank said. But Kent’s father was a retired, high-ranking Air Force officer and had friends who could check all this out. He could find no evidence of this General Thomas and this, I believe made Kent suspicious. Given all this, I believe Kent decided that there couldn’t have been a crash because he would have been able to get something from these officers at the reunions. He would have found some trace of this General Thomas even if the general would corroborate any of the story. And his failure to find independent corroboration of the crash beyond those in Roswell talking about it suggested to him that there had been no crash. I think Kent was further disillusioned by some of the "revelations" about Major Jesse Marcel. Marcel’s entire military record was leaked into the public arena in violation of the 1974 Privacy Act. You can read the story of Marcel in the Archive in the April 2007 list on this blog. And he had talked with officers who had been at Wright Field or who had been part of the Air Technical Intelligence Center (ATIC) and who told him that nothing happened. Kent believed this to be the truth, though had there been a crash and had they been ordered not to talk about it, they very possibly would have said nothing happened. The lies told would be lies to protect national security and would therefore be part of the job. I talked to a general who had been the chief of ATIC, or had overseen a larger part of the intelligence operation at Wright-Patterson AFB and when I asked him some questions he said, not kindly, "I don’t know who you are and I don’t know what is still classified and what is no longer classified and I can’t talk to you." For a few moments more I tried to ask questions but it was clear that he wasn’t going to tell me anything. Does this prove a cover up in Roswell? No, it proves that there are military secrets and some are better at keeping them than others. Kent didn’t get a chance to talk to Edwin Easley or Chester Barton, who worked for Easley and only had a couple of interesting things to say about the crash. He didn’t talk to Marcel but he was concerned about the contradictions in the Marcel’s military record and what Marcel had told Bob Pratt. He was concerned with the denials of men who claimed if something had happened, they would have known it, never understanding that sometimes military secrecy trumps friendship and those who thought they would have known were not inside the loop and they didn’t know. I think Kent’s attempts to validate the information failed him and he lost some of his confidence in the Roswell case. I think that learning that Kaufmann was not who he claimed to be before we knew it for a fact, shook him. I think that learning that Glenn Dennis’s nurse didn’t exist under the name Dennis gave us, eliminated one of the better testimonies that led to the extraterrestrial. At the end of the day, there just wasn’t sufficient evidence for Kent to conclude that Roswell was alien. 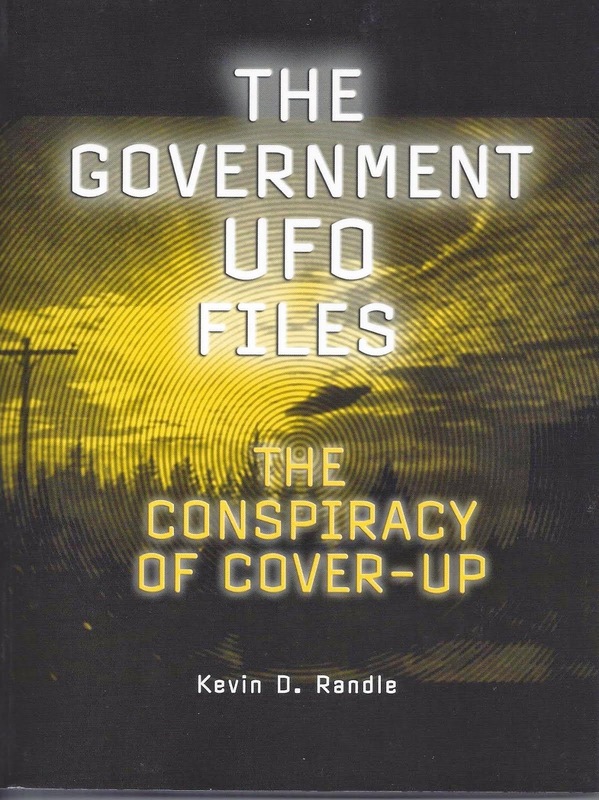 The Air Force explanation, the failure of so many of the eyewitnesses, and the damage done by those inventing their tales was enough for Kent. He concluded that Roswell was nothing alien. I understand this because I too think some of the same things at times. Rumors should have circulated at Roswell among the pilots and surely some of them would have heard enough to suggest the crash was real. But I also know, having served with various military units that some secrets simply do not leak and sometimes those who think they have an inside track do not. And while I might sometimes have my doubts about all Marcel said, when we look at his record we see a fine officer. Some of the things he told Bob Pratt are not borne out in the record, but then, it is possible that Pratt got some of it wrong. I do know the words are important and that Marcel never claimed his was a pilot as some have reported but said only that he had flown as one, and that is an important difference. And I have watched the collapse of some testimony. Gerald Anderson was clearly making it up. It wasn’t quite as clear with Frank Kaufmann, but he too, was making it up. Glenn Dennis seemed to have a solid tale, but there were little things that went wrong with it. We learned the truth about him when he began to blame others for misunderstanding about the nurse’s name. The destruction there was more subtle, but when he began to say he had made up the nurse’s name, it reset everything to zero. Not quite as evident as Frank’s faked documents but enough to suggest Dennis was no more honest about this than Kaufmann. So Kent looked at all this and decided that it was evidence that nothing alien happened. It could be explained as the Air Force said it could. Kent just couldn’t find sufficient evidence otherwise. When I looked at this cesspool of useless evidence, I sometimes thought the same things. But then, I did talk to Edwin Easley and Chester Barton and a dozen others. I know what Easley told me but circumstances prevented a recording of the critical statement. For Kent that was a failure, but I heard what the man said. I can’t prove it for others, but I do know what was said. And, I haven’t even touched on what Brigadier General Arthur Exon (seen here) told me. Yes, the debunkers and the Air Force have had little to say about him. So there are those who talk of something alien and who are who they claimed to be and who just might know something about it. All that was too late for Kent. And if I hadn’t had the chance to talk to some of these people, then I might just agree with him. But I did talk to them, and I have talked to others, so I’m not as jaded as he has become. I can understand how it happened and the difference between the two of us is that I talked to some of the people he didn’t.